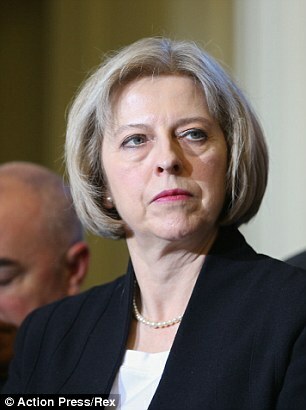 Pushed through by Labour in 2000, the Regulation of Investigatory Powers Act was sold to the public as a means of fighting terrorism and serious crime. Yet ever since, its secret snooping powers have been abused, in ways that strike at the very foundations of the free society it was introduced to protect. Invoked an extraordinary 500,000 times a year, the Act has been exploited not only by police but by town halls to mount surveillance operations against parents suspected of living outside the catchment area of their children’s school and householders who put rubbish out on the wrong day. But most chillingly for freedom and democracy, the authorities have abused RIPA to seize journalists’ phone and email records to uncover whistleblowers who have embarrassed them. We saw this in the Plebgate case, when police secretly trawled reporters’ contacts to identify and punish officers who had leaked information. And again, when a force investigating the Chris Huhne speeding points case used RIPA to sidestep a judge’s order to protect a confidential source. These are the tactics of the Stasi. This is why the Mail welcomed a government pledge in October that RIPA would be reformed to rein in the ‘entirely inappropriate’ police conduct. In future, said Justice Minister Simon Hughes, officers would need a judge’s authorisation to access the phone records of journalists, who would have the right to be informed of any such application. Last night, as the consultation on Home Secretary Theresa May’s RIPA reforms ended, there was no sign whatever that Mr Hughes’s pledges will be fulfilled. Under proposed new codes of practice, just as before, police will need only the permission of another, middle-ranking officer to seize journalists’ records. There will be no requirement to apply to a court, no right to challenge a snooping order – or even to be informed that such an order is being sought. Meanwhile, the officer who authorises the seizure of phone records need take no account of the public interest or of Article 10 of the European Convention on Human Rights, which guarantees freedom of expression. He or she need only ‘believe’, whether reasonably or not, that a crime has been committed. This paper accepts the need for these powers to combat terrorism and organised crime. But extending them to crush whistleblowers who expose wrongdoing and corruption is a grotesque violation of freedom, democracy and the public’s right to know. Mrs May must surely think again. Nowhere do whistleblowers play a more vital role than in the NHS, where their courage in highlighting failings and abuse can literally mean life or death. This is why it is so profoundly shocking that staff who have dared to go public – such as cancer specialist Professor J Meirion Thomas, who wrote critical articles on the NHS for this paper – have been bullied, gagged or disciplined. Now it emerges that officials investigating victimisation of NHS whistleblowers have had more than 18,000 responses – so many that review chairman Robert Francis QC has had to delay his report. Meanwhile, MPs on the Health Select Committee have described the treatment of whistleblowers as a ‘stain’ on the reputation of the NHS. To his credit, Health Secretary Jeremy Hunt has made a start on erasing that stain by setting up a complaints hotline, pledging to end gagging orders and launching the Francis review. The job won’t be finished until staff can be confident they have nothing to fear – and everything to gain – by performing this invaluable public service.